1. The pulse vacuum sterilizer must be placed on a firm horizontal surface. 2. Add an appropriate amount of water to the outer pot, place the items to be sterilized in the inner pot, cover the lid and twist the screw symmetrically. 3. Heating causes steam to be generated in the pot. When the gauge pointer reaches 33.78 kPa, open the exhaust valve to discharge the cold air. At this time, the gauge pointer drops. When the pointer drops to zero, the exhaust valve is closed. 4. Continue to heat, the steam in the pot increases, the pointer of the pressure gauge rises again. When the pressure in the pot increases to the required pressure, the firepower is reduced. 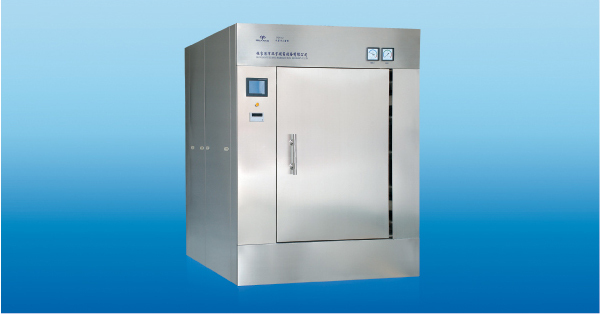 According to the characteristics of the sterilized items, the pressure of the vapor is maintained for a certain period of time. Then turn off or ignite the sterilizer, let it cool naturally, then slowly open the exhaust valve to remove the residual gas before opening the cover. 4. When sterilizing liquid, the liquid should be filled in a heat-resistant glass bottle, no more than 3/4 volume, and the cotton yarn is used for the bottle mouth. Do not use perforated rubber or cork stoppers; after sterilization is complete, steam is not allowed to be released immediately, and the residual pressure must be discharged after the gauge pointer returns to zero. 5. Do not sterilize items of different types and different sterilization requirements, such as dressings and liquids, to avoid loss. 6. Now there is a high-pressure steam sterilizer that is automatically controlled by the microcomputer. After the air conditioner is placed, the instrument can automatically press the constant voltage. When the time is up, the power is automatically cut off and the whistle is uttered, which is convenient to use.